More often than not coping and overwhelm become our normal…..but is that the way we want to live. What if there was a way back to health. Where perspective and balance allowed us to see our problems within context and allowed us to feel in control again. What if there was a modality that could give you the skills and tools to manage these down times in your life empowering you to live your best life with all the knowledge on how to at your fingertips. Many people experience depression, anxiety or another mental disorder in any given year. Others need help coping with a serious illness, losing weight or addictions. Still others struggle to cope with relationship troubles, job loss, the death of a loved one or stress. With Psychotherapy a therapist can help you work through these problems. So that people of all ages can learn to live happier, healthier and more productive lives. There are several approaches to psychotherapy — including cognitive-behavioural, interpersonal and other kinds of talk therapy — that help individuals work through their problems. Psychotherapy is a collaborative treatment based on the relationship between an individual and the therapist. Grounded in dialogue, it provides a supportive environment that allows you to talk openly with someone who’s objective, neutral and nonjudgmental. You and your therapist will work together to identify and change the thoughts and behavioural patterns that are keeping you from feeling your best. By the time you’re done, you will not only have solved the problem that brought you in, but you will have learned new skills/tools to better cope with whatever challenges arise in the future. If your quality of life isn’t what you want it to be, psychotherapy can help. Overwhelmed and a prolonged sense of helplessness and sadness. You find it difficult to concentrate on work/school assignments or to carry out other everyday activities. 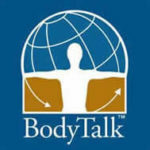 At Cape Town Body Talk we focus more on the talking aspect of psychotherapy because we use it in conjunction with Body Talk which provides us with the healing path, changing patterns and pathways in the brain for a healthier more balanced you. Your therapist may combine elements from several styles of psychotherapy. In fact, most therapists don’t tie themselves to any one approach. Instead, they blend elements from different approaches and tailor their treatment according to each client’s needs.